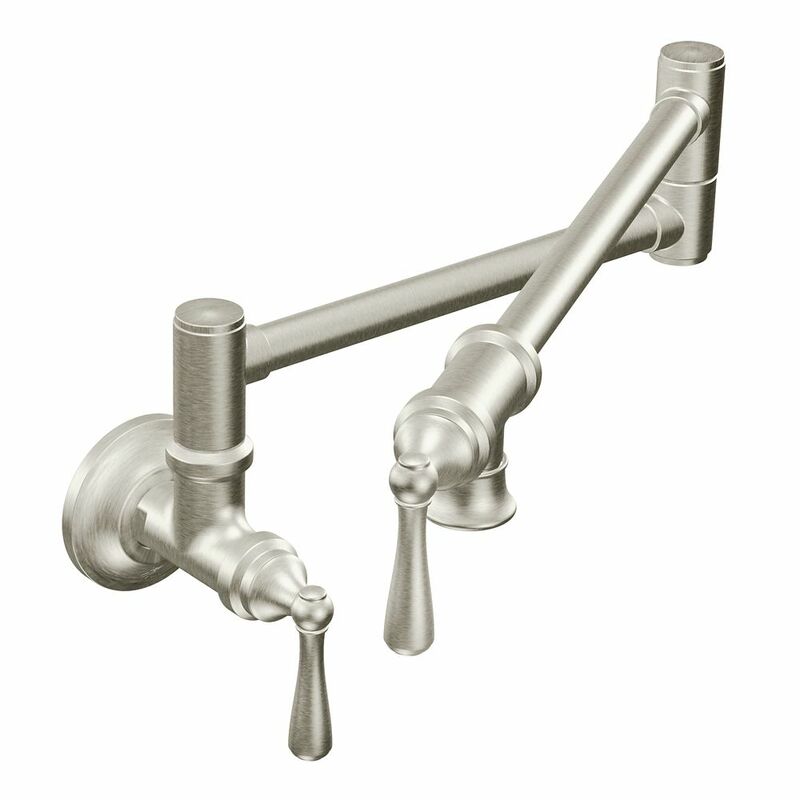 This Wellspring traditional beverage faucet adds convenience and elegance to your kitchen for streamlined entertaining. An included filtration system provides easy access to pure, refreshing drinking water when paired with a compatible cartridge. A gooseneck swing spout effortlessly fills large pitchers, while a ceramic valve gives you precise control over water flow to prevent splashing. Traditional Pot Filler Spot Resist Stainless Two-Handle Kitchen Faucet The pot filler is the ultimate epicurean luxury, ensuring convenient flow control over a cooktop. Dual joints allow for maximum reach, and dual shut-off valves mean never reaching over a hot surface to turn it off. Choose from traditional or modern styles to coordinate with your decor.